Macy’s Backstage is opening within Macy’s in the King of Prussia Mall this August. It's like a store-within-a-store. 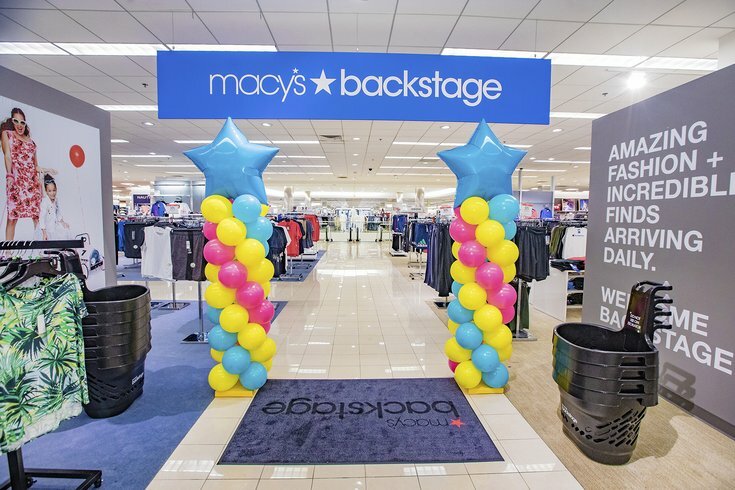 This August, Macy's Backstage will open inside the Macy's at King of Prussia Mall. The outlet store will offer deals on trendy apparel, jewelry, home goods, beauty supplies, designer handbags and more. There will be a constantly changing assortment of merchandise at 20 to 80 percent off traditional department store prices, according to Macy's. Each Macy's Backstage location is "specially curated to deliver the perfect style for each community it serves." Shoppers will also find brands not currently available at full-line Macy’s. The King of Prussia Macy's Backstage will open on Saturday, Aug. 18, ahead of back-to-school shopping. On opening day, there will be giveaways for the first 200 customers – so get there early. Find the 13,200 sq. ft. retail space on the first level of Macy's. Shoppers will be able to use their Macy’s credit card to earn and redeem Star Rewards at Macy's Backstage.